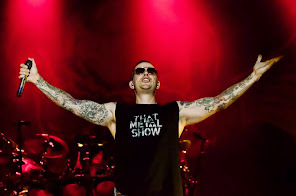 M.Shadows was recently interviewed by Metal Hammer, you can read some excerpts below. About Metallica new album: "I think it's great for the consumer and it's great for the fans. I think a lot of fans are streaming anyway. We had this plan before Metallica released Hardwired in Minneapolis. Our first plan was to release a song in Minneapolis, with that show we played with them in Viking Stadium. We then decided to drop the record as a surprise and I'm glad we did otherwise we'd really be going head-to-head, single to single." He added: "They're vastly different singles, a three-and-a-half minute song compared to an eight-and-a-half minute song, but they're doing what they're doing. I told Metallica drummer Lars Ulrich what we were doing and he thought it was awesome. It's going to be a great lead-up to Christmas for rock and metal fans that like our two bands." 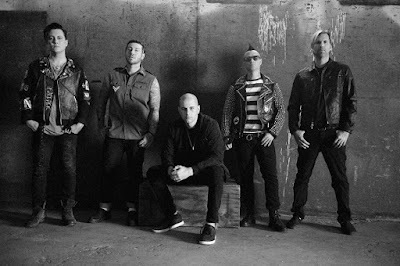 Shadows says he hasn’t heard the new Metallica album but says: "I love Moth To Flame – I think it has some stuff to sink your teeth into. I think Hardwired was obviously a song to shut up a lot of the haters, but to me I like when Metallica get into deeper stuff, and they do it brilliantly. Looking at how long the record is going to be, they're going to have some of those songs. I like all Metallica, I like hearing them, hence why they still do stadiums. They sound good, it feels like home sweet home." As for whether the modern Metallica sound has influenced Avenged Sevenfold, Shadows adds: "I don't think there's anything Metallica-esque about the new Avenged Sevenfold record. I think the record is too 'out' – I'd put it more in a Soundgarden, Faith No More vein. But in terms of how they run their career, I love everything they do. They're on top of everything, they service the fans in a great way, put on killer shows with great production, and they change with every record. I like how we do whatever we want, they do whatever they want, and you never know what it's gonna be."